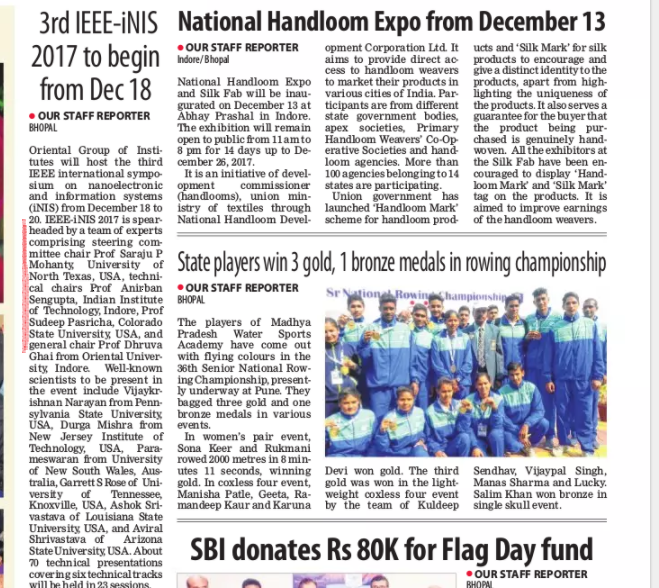 “IEEE global meet on Nano-electronic and Information Systems begins”, CENTRAL CHRONICLE,19th December 2017. 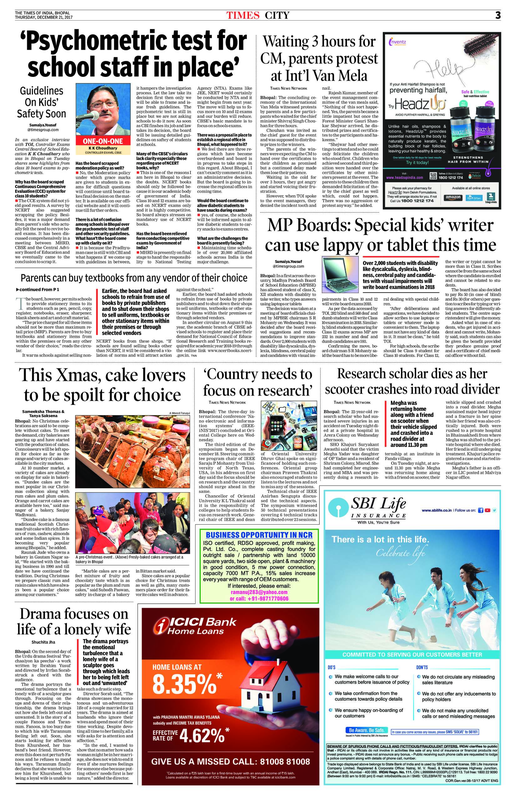 “Country Needs to Focus on Research”, The Times of India, 21st December 2017. 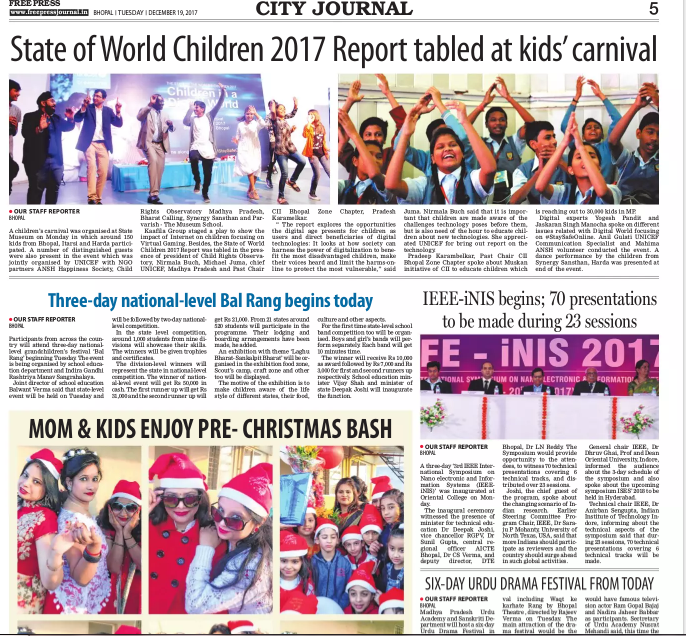 “3rd International Meet on Info System Ends”, The FREE PRESS JOURNAL, 21st December 2017. 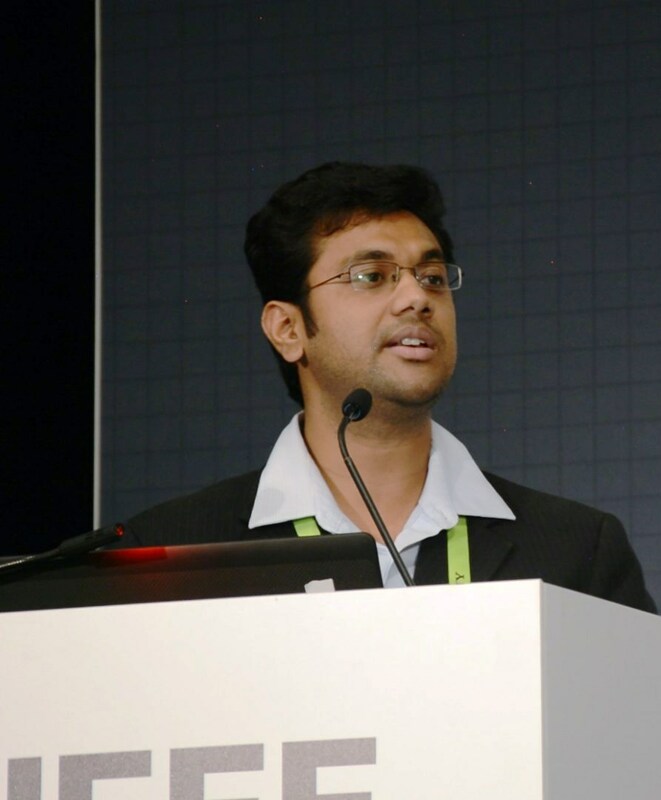 “IEEE-iNIS Begins”, The FREE PRESS JOURNAL, 19th December 2017. 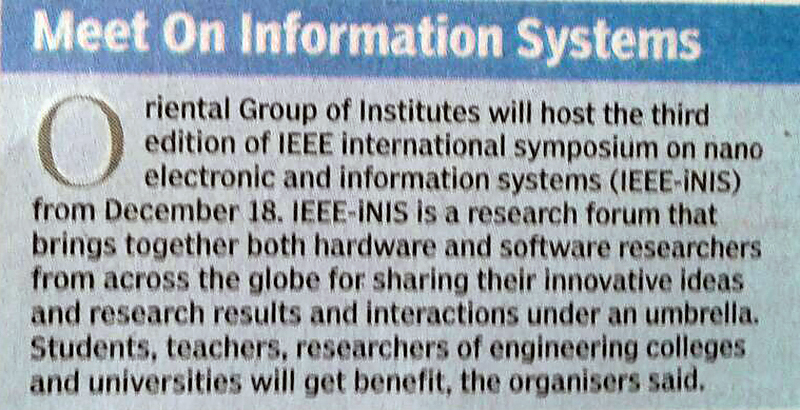 “Meet on Information Systems”, The Times of India, 14th December 2017. 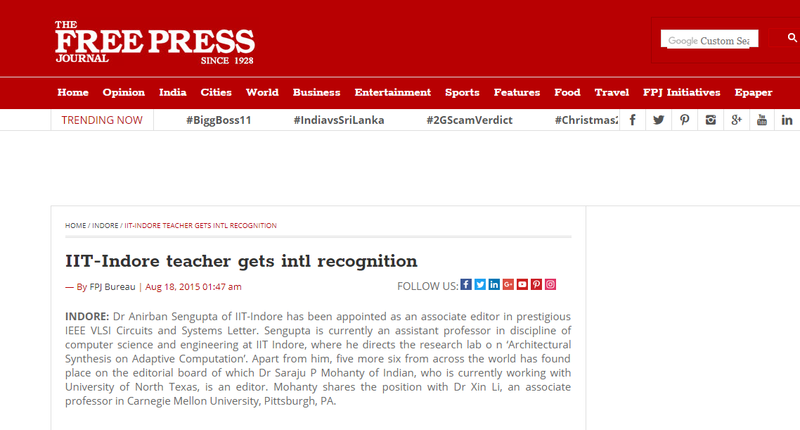 “3rd IEEE-iNIS 2017 to Begin”, The FREE PRESS JOURNAL, 9th December 2017. “International Seminar for City's Scientists”, DBPOST NEWS, 6th December 2017.